The entrance to your place of business can make or break a customer’s first impression. If pavement is unsealed, old, cracked or decaying, it creates a poor image. Some customers will turn away without ever coming in! Be sure to keep your parking lot smooth and trouble-free by hiring a paving company that really knows how to address the trouble spots. You definitely don’t want a customer to dodge and weave among potholes in a poorly maintained parking lot. Potholes can damage car frames and tires, knock wheels out of alignment and create a real eyesore. Once a big one gets started, others follow like a rash. Bicycles, motorcycles and pedestrians are not immune to potholes, either. Personal injury and property damage are not a good way to build a loyal customer base. What causes surface pavement to break up could be the sub grade beneath the asphalt. Ground settling is a common problem in South Florida. Once moisture gets in through a crack, it causes erosion of the dirt and gravel bed. You may be looking at a tear-up and re-grade, but it’s worth it to invest in the good looks and lasting durability of your parking lot. 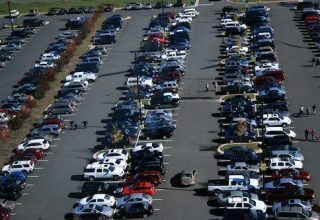 If you own the parking lot, you may be liable for damage to other people caused by its poor condition and upkeep. A twisted or broken ankle from stepping in a pothole or other personal injury caused by trips and falls can lead to an expensive lawsuit. That’s the tip of the legal iceberg that’s waiting if the parking lot surface isn’t properly maintained. The sealant on your parking lot surface is only designed to last for a few years. After that, moisture penetrates, taking with it the small seeds of plants that eventually sprout in cracks. Those plants can be surprisingly stubborn, developing roots that spread and go deep, heaving up parts of the pavement as they grow. Regular resealing of the parking lot surface goes a long way toward preventing this problem while keeping the surface looking new and well tended. If you’ve noticed the beginning of holes, cracks and wear in your pavement, give us a call. We are experts at diagnosing and treating the cause of the problem, not just masking it. A well-maintained, freshly sealed and painted parking lot looks inviting to customers and adds a polished, professional touch to your company’s image that will last for years!